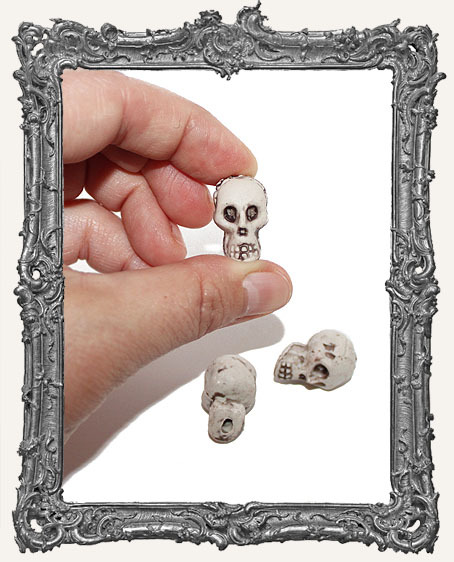 * You will get two cool resin skull beads. Each has a vertical hole. Keep in mind you could paint/alter them if desired. Some rhinestones or Stickles added to the eyes would look awesome. * Each measures approximately 7/8". * Great for use with our Shrine Kits and more! * Perfect for Halloween or Day of the Dead art. * Also available in Distressed.